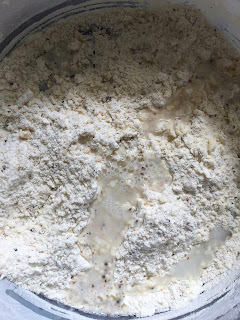 Nimki recipe or namakpare recipe with step by step photos. Nimki is a very famous snack, especially during Diwali. It is crispy, crunchy and tastes awesome with the pickle. 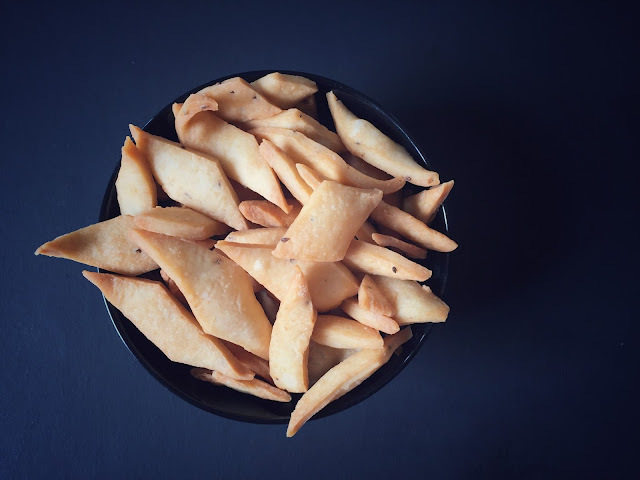 When I was in the hostel, this was one snack that almost everyone used to get from there home after Diwali Vacation! It can be stored for months in an airtight container. It's a great homemade tea time snack any day. 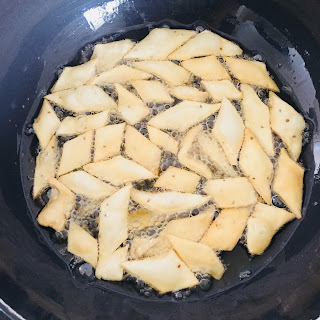 So, here goes the recipe of crispy Namakpare. 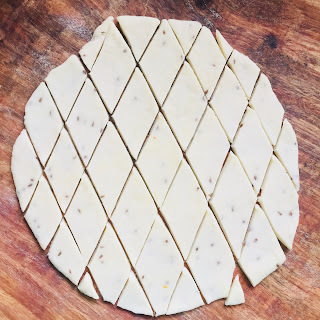 You can also read other famous Diwali Snacks recipes like Khurma Recipe and Mathri Recipe in this blog. 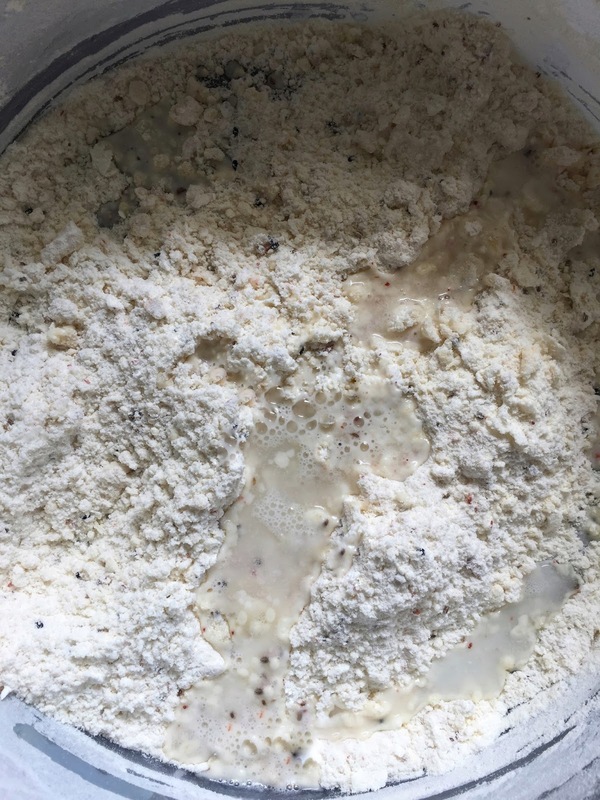 Mix maida, ghee, ajwain and salt. Hold this mixture tightly in your fist. Open your fist and check if the shape retains. If not, then you need to add more ghee. Add some water and make a slightly tight dough. Take a section of dough, slightly bigger than parantha. Deep fry them on low flame until they are golden brown. Stir occasionally. 1. Mix maida, ghee, ajwain and salt. 2. 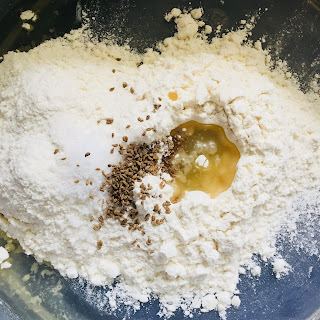 Hold this mixture tightly in your fist. Open your fist and check if the shape retains. If not, then you need to add more ghee. 3. Add some water and make a slightly tight dough. Roll it a little thick and cut diamonds. The test for checking the amount of ghee is mandatory. 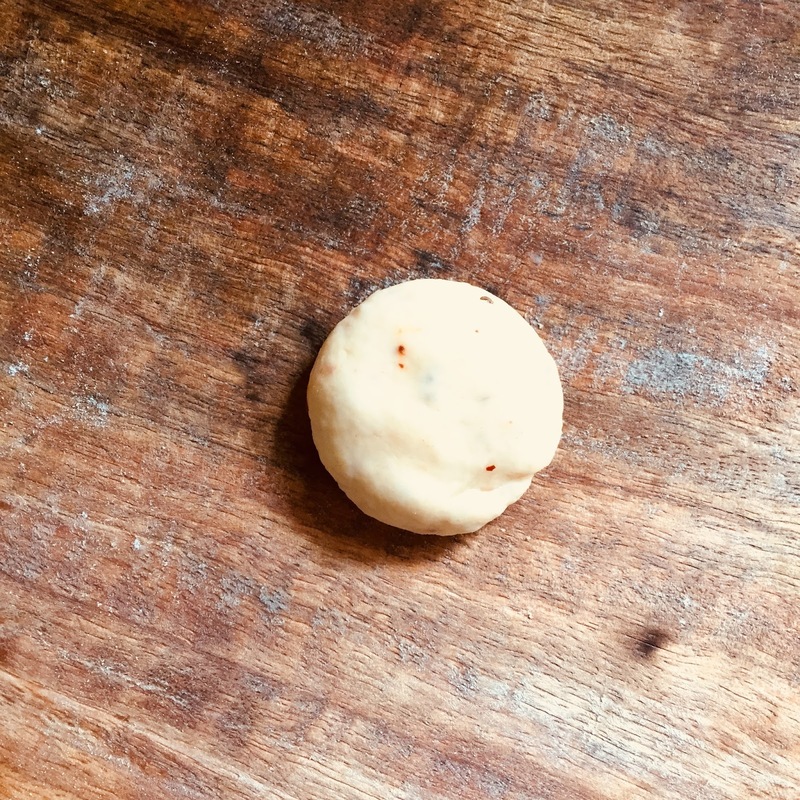 If the amount of ghee is less then nimki will not become crispy. Whole deep frying process should be on low flame. Otherwise, nimki will not become crispy. It will turn dark in colour before cooking well from inside.